Dr. Dane Miller is a radiologist who graduated the medical school of Wayne State University School of Medicine and completed both his internship and residency at the William Beaumont Hospital. 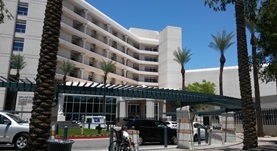 Soon after that, a fellowship in Neuroradiology followed at the Barrow Neurological Institute. Dr. Miller has been in practice for more than 6 years and now works at St. Joseph's Hospital and Medical Center.